Imagine a global financial crisis, with the vast gap between rich and poor sparking off protest marches and sit-ins. Imagine the world is in political turmoil, with Western democracies struggling to deal with foreign totalitarian states that may (or may not) be a threat to world security, but are certainly trampling on the human rights of their own citizens. Imagine a time when rapid technological advances are transforming communication, travel, health and entertainment. Okay, we don’t have to imagine any of this, because we’re living through these events – but so did people in the 1930s, and that’s why I love reading (and writing) about them. It’s impossible not to notice the modern-day parallels when reading about unemployed miners occupying the London Ritz in 1938, or about the League of Nations dithering over sanctions in 1935, following Abyssinia’s invasion by Fascist Italy. Then, as now, each week seemed to bring some fresh political crisis, as Hitler rose to power in Germany, Stalin tightened his deadly grasp on the Soviet Union, and Spain descended into a barbaric civil war. England wasn’t immune to ideological conflict, either, with violent clashes between Oswald Mosley’s Fascist Blackshirts and their Communist enemies. Those in England who longed for peace were relieved, though, when their Prime Minister finally returned from those tense Munich negotiations in September, 1938. Everything was going to be fine, Mr Chamberlain announced, because Hitler had promised peace. Peace for our time! Peace with honour! Well, we all know how that promise turned out, but that makes the period even more appealing to historical novelists like me. There’s so much to write about if you set a book in 1930s England – particularly if your characters happen to be minor European royalty on a mission to save their tiny kingdom. 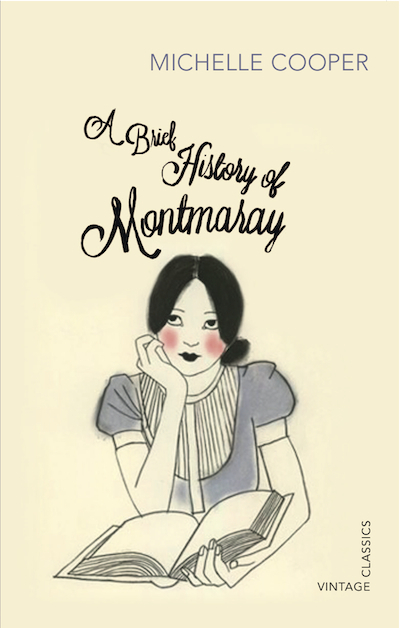 In my Montmaray Journals trilogy, the royal FitzOsbornes clash with Nazis who are searching for the Holy Grail, help Basque refugee children escaping the bloodshed in Spain, argue with Oswald Mosley at a dinner party, fend off the attentions of the Kennedy boys (yes, those Kennedys) at the American Embassy in London, unwittingly antagonise the British royal family, have tea with Winston Churchill, and address the Council of the League of Nations. 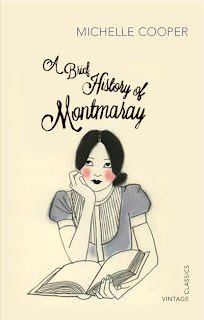 Plus, they do it all while wearing fabulous 1930s fashions!Because although political intrigue and thrilling adventures are a significant part of the Montmaray books, I also enjoyed writing about some of the more frivolous aspects of 1930s English Society. The young FitzOsborne cousins begin the series in genteel poverty, confined to an isolated and crumbling castle, but they are eventually taken under the wing of a wealthy and ambitious aunt. This allowed me to explore the final years of pre-war aristocratic glory in England, which were described so beautifully in Evelyn Waugh’s Brideshead Revisited and Nancy Mitford’s The Pursuit of Love and Love in a Cold Climate. The second Montmaray book, The FitzOsbornes in Exile, features grand country estates, complete with stables and tennis courts and artificial lakes (with an army of servants to take care of everything). There’s also a mansion in Kensington Palace Gardens, from which the FitzOsborne girls are launched into the Season. They experience debutante teas, fork luncheons, dinner parties, coming-out balls and a nerve-wracking presentation at Court. And, of course, they get to wear those wonderful 1930s clothes – evening gowns of chiffon and taffeta and tulle, glittering tiaras and strings of pearls, silk afternoon tea dresses and exquisite little hats (with sensible tweed suits and well-polished brogues when visiting the country). There are also, unfortunately for the animals involved, coats and stoles of mink, sable and fox (as Anne de Courcy points out in 1939: The Last Season, there were “no scruples in that pre-war climate about the right of the original owner to retain its fur coat”). Some values and beliefs have changed markedly since those glamorous, brutal, exciting years between the Great Depression and the start of the Second World War, but in other ways, that decade feels very familiar. And, as we all know, exploring our past helps us make sense of the present – and sometimes even allows us to predict our future. Michelle Cooper is the author of four novels, including The Montmaray Journals trilogy. 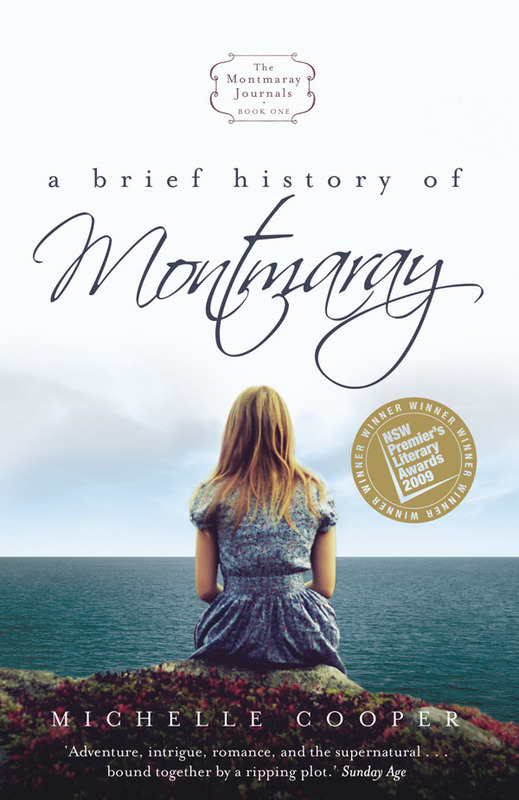 The first Montmaray novel, A Brief History of Montmaray, won the 2009 Ethel Turner Prize for Young People’s Literature and was listed in the American Library Association's 2010 Best Books for Young Adults. It has just been re-released in Australia as part of the Vintage Classics collection. 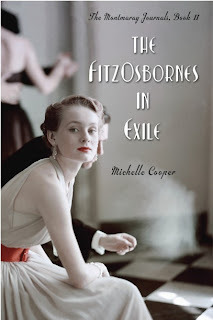 Its sequel, The FitzOsbornes in Exile, was shortlisted for several literary awards and was listed in Kirkus Best Teen Books of 2011 and the American Library Association's 2012 Best Fiction for Young Adults. The final book in the trilogy, The FitzOsbornes at War, has just been released in Australia, and will be published in North America in October. Michelle lives in Sydney, Australia and is currently working on her next book. Visit www.michellecooper-writer.com for more information about Michelle and her books. - to participate, just leave a comment including your email address. You could also add a comment telling us something you find interesting about the 1930s but you don't have to in order to enter. I'm always reminded of Great Depression and the Spanish Civil War whenever I hear about 1930's. Thank you for this giveaway! This book sounds very interesting! I would love to read it. I love historical fiction and I'm a UK fan. I read about the Mitford sisters several years ago, and have been interested in them and in this era of English history ever since. Thanks for the giveaway. I am fascinated with this time period. Thanks for the giveaway. I haven't read any novels about the 1930s. The 1920s and 1940s? Sure, I've read about those decades. But the 1930s is a gap in my knowledge. absolutely fascinating which i'm sure will make for deliteful reading!! The 1930s must have been a difficult time for everybody. It must have been hard growing up then. Whenever I think about the 1930s I think about how hard a transition must have been for the people living then. Not only because of the war and the depression, but also because of the drastic change in how people had to live as compared to the 1920s. I love listening to the folk songs recorded in the 1930's. I love the 1930's as they were a time of grace and honor, a time of peace and rising unrest. I love this series of books - they are among my favorite reads ever! The 1930s sounds like a time of uncertainty, and yet people endured it well. It seems to be a time where people were preparing for change even if they didn't know it. As a Historian in training, my main area of focus is FDR's presidency, so that would definitely be one of my favorite things about the 1930s! One thing I find interesting about the 1930s is how involved the Kennedy family was with politics even then. While I'm browsing the net I saw this page which caught my attention but apparently I'm looking for a post oflove reading in Miami fl.